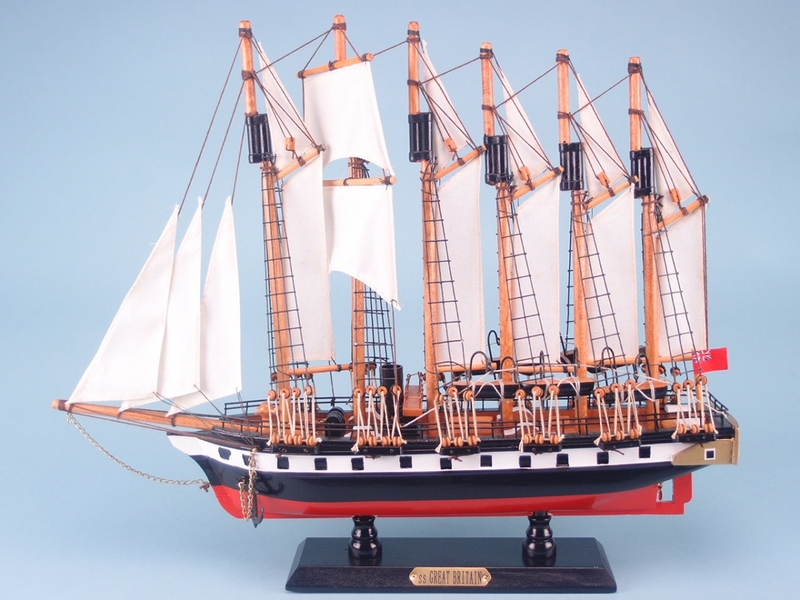 A large handmade wooden model of the legendary SS Great Britain measuring at 46 by 38 centimetres. Built in 1841 and officially launched in 1843, the SS Great Britain was way ahead of its time as a passenger steamship. This is because it was the first ship to combine an iron hull with a propeller which was unknown at the time. The real SS Great Britain currently operates as a museum ship at its home port of Bristol. 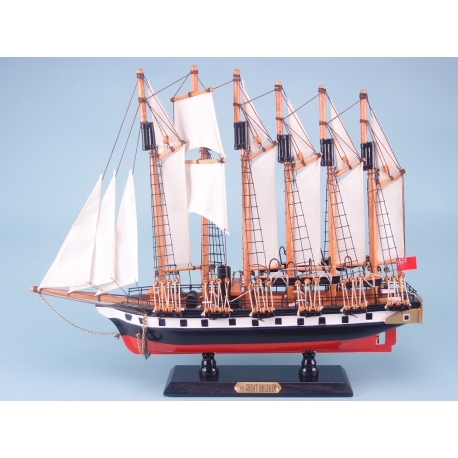 Your customers will be able to own a little piece of British naval history with this beautiful wooden replica of the great-grandmother of all modern ships. Placed on a wooden mount with a golden nameplate for decorative display purposes.